Student tickets for the football game against UCLA go on sale tomorrow at 8:30 a.m. 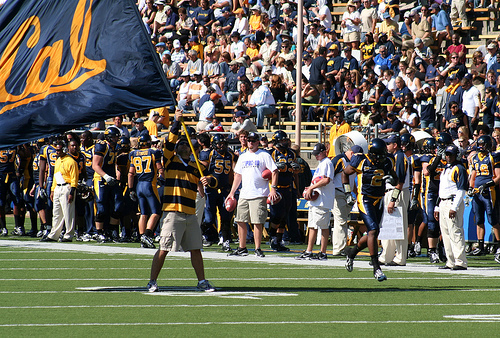 The Cal Bears site says that only currently registered UC Berkeley students with season tickets may order. Oh, and once you snag your tickets, this dude wants to buy one from you for 40 bucks. Don’t forget your transport–the LJ Community’s got some tips (other than commandeering a frat bus) on making your way to SoCal.